During early 1993 some System Board manufacturers supplied Pentium upgradable System Boards. Intel announced the Pentium OverDrive processor in 1993 but it took nearly two years to actually deliver an OverDrive processor. Some System Boards have been advertised as having a Pentium OverDrive socket fitted but unfortunately some of these were released before Intel had finalized the Pin-out of it's Pentium OverDrive Processor. To make the situation even more confusing, in an attempt to make up for the delay in the release of the 64 bit +Pentium OverDrive chip, Intel released a 32 bit OverDrive processor called the 486 OverDrive. Intel produced a range of Overdrive chips in order to supply upgrade paths for most of the 486 hardware. The Pentium OverDrive was claimed to enable owners of 486 type motherboards to upgrade their machines to Pentium performance, without the cost of having to replace the entire system. The chip was a heavily modified Pentium P54 architecture, made with 0.6 micrometer technology and operating on 3.3 volts. In original packaging, New & Unopened, unused and still sealed. On Dec. 20 1994 Intel offered to replace all flawed Pentium processors on the basis of request, in response to mounting public pressure. 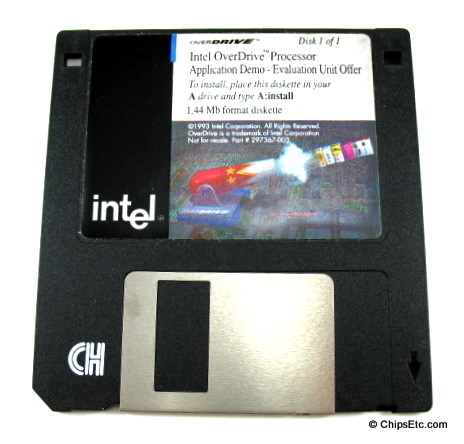 This software released on floppy disk by Intel was sent to consumers who requested it so they could find out if their Pentium Processor was the model that suffered from the FDIV bug. 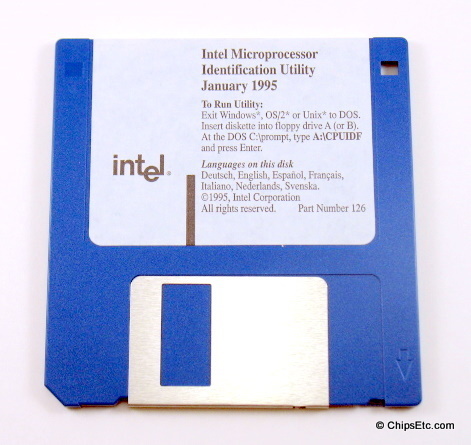 The Intel Processor Frequency ID utility was designed to identify which Intel processor your PC contained. If your PC contained an Intel Pentium processor, the Intel Processor Frequency ID Utility would test & identify the Floating-point divide flaw. 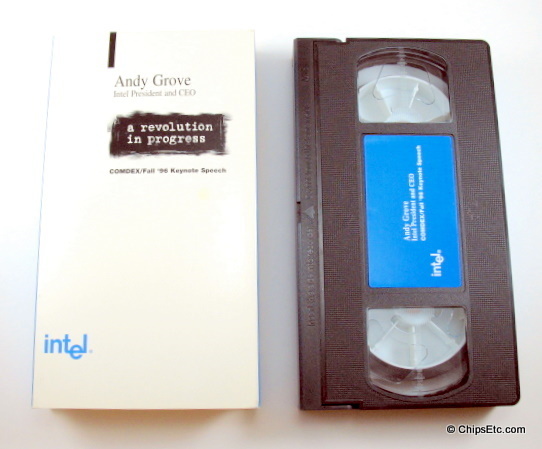 Fall 1996 Comdex presentation of "A revolution in Progress" presented by the visionary Intel President & CEO, Time's Man of the year, Andy Grove. Recorded at Comdex on November 18, 1996. Intel's president and CEO Dr. Andrew Grove gave the Comdex keynote speech, entitled "A Revolution in Progress." He discussed what he expected to happen over the next decade in microprocessor and PC technology. By 2011, he projected, there will be a 200-fold increase in processing power on Intel processors, chips that will by then integrate 1 billion transistors and run at dizzying speeds of 10 GHz and 100,000 mips (millions of instructions per second). In 1996 Intel had 4-million transistor processors running at 200 MHz and approximately 200 mips. He used a variety of live demonstrations of then current and future PC technologies. The event audio was streamed live by RealAudio. In conjunction with this, Comdex had, as one of its major themes in 1996, the "25 Years of Industry Achievement: Celebrating the Impact of the Microprocessor" to commemorate the 25th anniversary of the introduction of the Intel 4004 microprocessor. 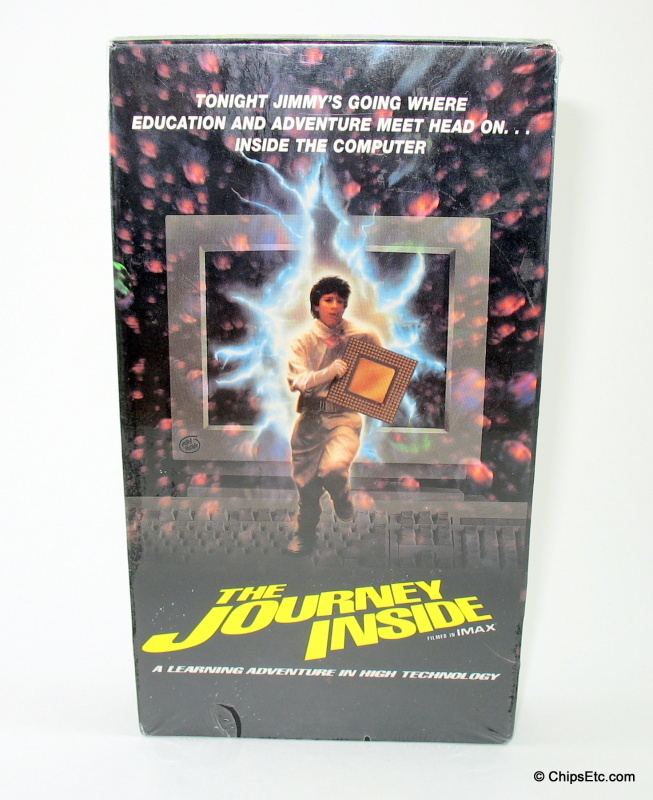 VHS tape with slip cover. 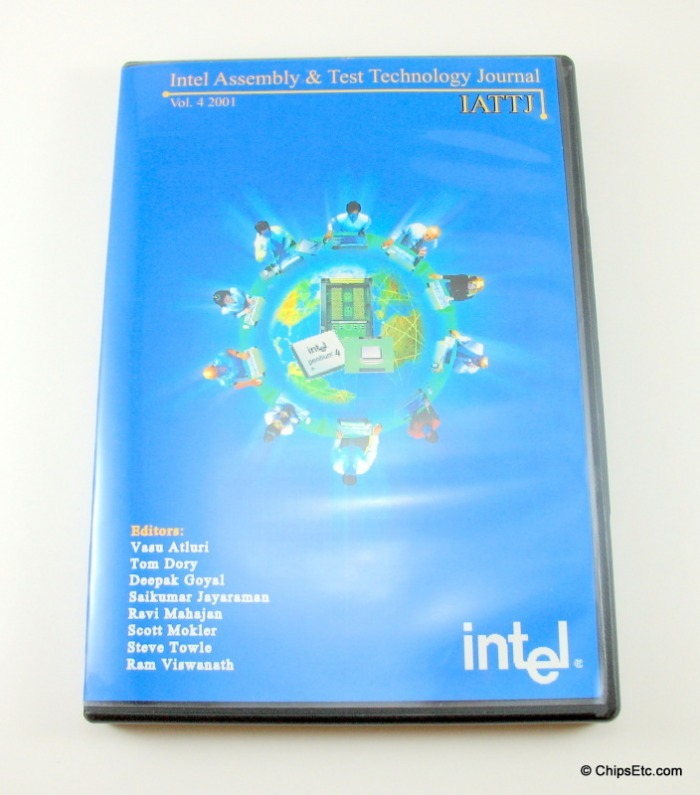 Intel Assembly Test Technology Journal published on DVD for the general public. Features recent research and development with Intel technologies that were current in 2001. Intel "Journey Inside the Computer"
These kits were produced by Intel and only available to Teachers. The kits featured learning lessons on VHS, transparencies, and printed media as well as a hands-on "Chip Kit" that included examples of actual (but unusable) Intel Computer Chips and Pentium Processors, Transistors, and 8" Intel Silicon Wafers.